Even as the Prime Minister Manmohan Singh pitched for a 10 per cent GDP growth, the Planning Commission in its 11th Plan Approach Paper today underlined the need for creating seven crore job opportunities in next five years for inclusive growth. The Supreme Court today raised a question mark on the “sting operations” being conducted by various TV news channels and wanted to know whether these were done with real public interest in mind, or were aimed at raising the TV rating points and also involved money transactions. The imported coal scandal worth several crores of rupees in the Punjab State Electricity Board has similarities with the City Centre scam in Ludhiana. After executing the tenders, placing the order and receiving coal at its plants, the PSEB authorities amended the most crucial part regarding the specifications in the purchase order obviously to accept substandard imported coal at its thermal plants. The Delhi High Court today said any action against All-India Institute of Medical Sciences Director P Venugopal would be subject to the final verdict on the petition which is pending in the matter. The CBI today conducted searches at seven places against officials of the National Highway Authority of India, including its General Manager (Technical) P.C. Arya, for allegedly clearing sub-standard work on the nationalhighway between Panipat and Sonepat and causing a loss to the exchequer. 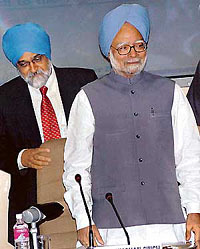 Admitting the failure of institutional mechanism in meeting the needs of the farmers, Prime Minister Manmohan Singh today initiated a debate on roping in and regulating money lenders in extending farm credit to alleviate the agricultural crisis facing the nation. 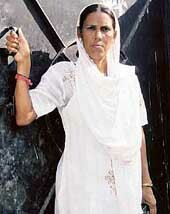 Thirteen proved unlucky for a 72-year-old man, Ramdhari, after his “13th” wife, Harbans Kaur (45), decided to stand up for herself when she learned about her husband’s past.